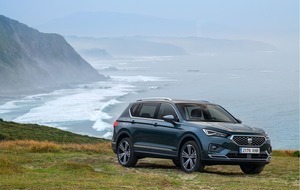 EVEN for those of us who take a close interest in the comings and goings in the car market, it is getting hard to summon much enthusiasm when a new SUV is announced. The latest to break cover is BMW's new X3, which can be on your driveway from November in exchange for at least £38,800. There is absolutely nothing surprising about it. It even looks like the car it replaces. That isn't the same as saying it will be a bad car - for it would be amazing if it was - but the formula for these sort of cars is so familiar by now that it is hard to get too excited. Expect the usual range of excellent BMW diesel and petrol engines, the latest technology and safety features and a push upmarket in terms of quality to help justify the increase in price. Such is size inflation in cars, that the X3 is now the same size as the original X5. It will be fighting for the same slice of cash as the new Audi Q5, the Range Rover Evoque, Land Rover Discovery Sport and whatever Mercedes-Benz is calling its rival SUV this week. It is also pitching against the new Volvo XC60, which looks to be the best of the bunch at this size and price point. Your £38,800 buys you an X3 with a four-cylinder 2.0-litre diesel (187bhp, 0-62mph in 8.0 seconds, EU combined 56.5mpg). A six-cylinder 3.0-litre diesel (261bhp, 5.8 seconds, 49.6mpg) costs from £44,380 and a new range-topping 3.0-litre twin-turbo petrol M40i (355bhp, 0-62mph 4.8s, 34.5mpg) model, which goes head-to-head with Audi's SQ5, starts at £51,280. 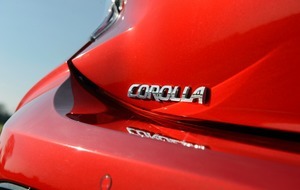 A 2.0-litre petrol will join the range later. Trim levels start at xLine and rise to Luxury and M Sport.